Make your own natural fruit yogurt! 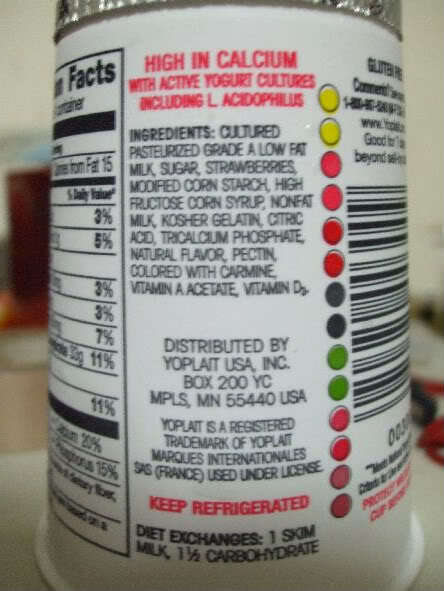 -The second ingredient in this fat-free Yoplait strawberry yogurt is SUGAR! The sugar came before the strawberries…..
-In addition to the sugar, they have added High-Fructose Corn Syrup (HFCS)! SO… what can you do to avoid added refined sugars? Make your own fruit yogurt! 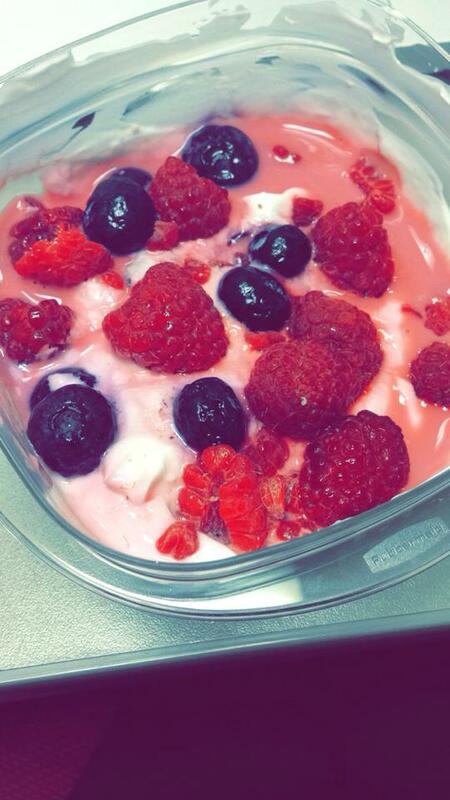 Buy plain/nature yogurt (I prefer Greek yogurt) and add frozen berries/fruit to it and store in the fridge overnight. The fruit will thaw and the natural fruit juices will flavour your yogurt. Here’s my own yogurt this morning at work…mmmmm.